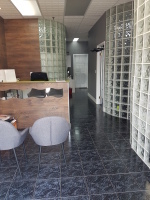 ​​ First time clients of our Clinic can take advantage of our special 15% discount for their first one hour massage or training session. 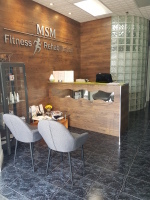 Welcome to MSM Fitness and Rehabilitation! To help people physically and mentally with our professional treatment and personalized training to get you back to motion. To relieve acute or chronic pain, stress and discomfort. To help you get you stronger, recover from injury, relieve pain and discomfort but also guide you through improvements in mobility, stability and balance. 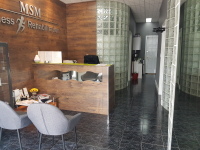 My name is Sylwia Psiuk, I am the owner of MSM fitness and rehabilitation clinic. I am rehabilitation specialist all my education and knowlage is focused on rehabilitation therapy. I have graduated from Massage Therapy program and have taken Manual Therapy courses to help people with acute and chronic conditions but also to improve body aligment. I am currently taking Osteopatic program to be even more beneficial for my patients. I gained my experience through working on wide range of clients such as pregnant women, newborn babies, children, active and with postural dysfunction teens, professional athletes, post-injured, post-surgical, post-mastectomy patients, oldery. Through all this years I have learnt that every person, every condition, all patient needs are different. I am also an Instructor. 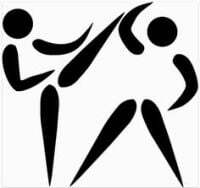 I offer Personal and Kickboxing Rehabilitative Training in Mississauga. My sessions are focused to help you understand and work through your dysfunction to get you back to motion but also work with your disability or condition which is part of your life to get you motivated, inspired, and mobile, give you chance for better life. For myself and MSM Fitness and Rehabilitation Clinic this approch is most important WE LISTEN, WE OBSERVE, WE FEEL, WE PLAN, WE COMMUNICATE and then WE TREAT but also WE GUIDE you through improvements. MSM FITNESS AND REHABILITATION stands for Manual Stimulation and Manipulation. 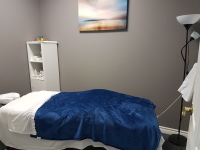 We believe that body has own ability to heal and recover and we are here to help with this process with our manual stimulative and manipulative techniques and by providing professional assessment, treatment and personalized sessions to each client. 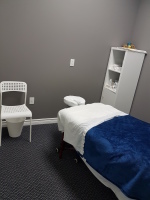 To maintain the effects we educate our patients on how to continue to help themselves once the massage or rehabilitation therapy session is over. - Pelvic health program, Active Rehabilitation programs. Let's take care of your health! Monday: 09.30 a.m. - 3.00 p.m.
Tuesday: 12.00 a.m. - 8.00 p.m.
Wednesday: 09.30 p.m. - 6.00 p.m.
Thursday: 12.00 p.m. - 8.00 p.m.
Friday: 09.30 a.m. - 5.00 p.m.
Saturday: 09.00 a.m. - 2.30 p.m.